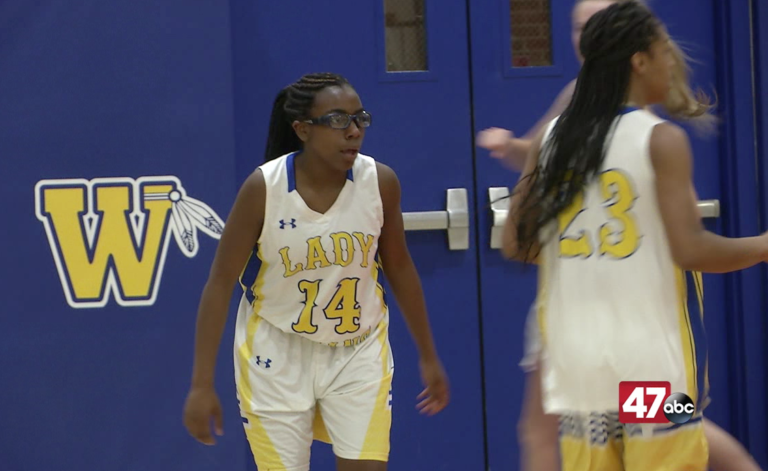 SALISBURY, Md.– The Wicomico Indians girls basketball team used a 16-6 fourth quarter to defeat Kent Island 41-31 on Thursday night. Leyana Pettit scored six of her team-high 11 points in the fourth quarter to close out the game. Kent Island’s Blair Goodrich finished with a game-high 16 points. The victory keeps WiHi in the hunt for a Bayside South title, and gives the Tribe a seeding advantage over the Bucs when the playoffs roll around.